Jalen Jones had a rushing score and directed St. Frances’ offense Friday, while Terrell Smith enjoyed a career night with four interceptions. The top-ranked Panthers improved to 6-0 with a 28-7 decision over No. 2 McDonogh at Patterson Park. Last season, St. Frances Academy football team made a statement with its victory over McDonogh School. Friday, the Panthers left a huge exclamation point. No. 1 St. Frances posted a decisive 28-0 decision over the second-ranked Eagles in a MIAA A Conference contest at Patterson Park’s Utz Field. Joahim Bangura rushed for two touchdowns for St. Frances (6-0 overall) and Terrell Smith intercepted four passes. The defending MIAA A champs and the state’s top-ranked squad flexed their speed and size, turning the battle of the league’s lone undefeated into a mismatch. The East Chase Street school, ranked No. 22 in the latest USA Today Super 25, has beaten its first three league opponents by a combined 121-7. Like a career night from Smith. The 5-foot-8 senior cornerback had four interceptions including a 30-yard pick six, putting St. Frances up 21-0 early in the third. He missed on a fifth in the end zone in the fourth quarter. 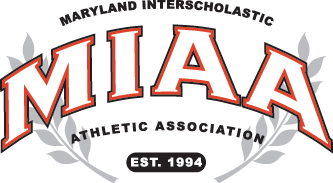 After stopping McDonogh on downs at their 28-yard line, the Panthers went 72 yards in eight plays as Bangda, a transfer from St. John’s College in the District, bowled into the end zone from eight yards. Junior quarterback Jalen Jones, who had touchdown throws dropped on his prior two throws, called his number and went 40 yards, extending St. Frances’ advantage to 14-0 with 8 minutes, 57 seconds left in the first half. Bangda put the game out of reach with a seven-yard touchdown run midway in the fourth. Senior defensive end Eyabi Anoma had a sack and freshman Breon Noel recorded an interception for the Panthers’ defense which shutout McDonogh for the first time since 2012. Last fall, St. Frances won at McDonogh, setting the table for the Panthers’ somewhat surprising run to the MIAA A crown. The Panthers appear on track for a repeat after Friday’s showing.